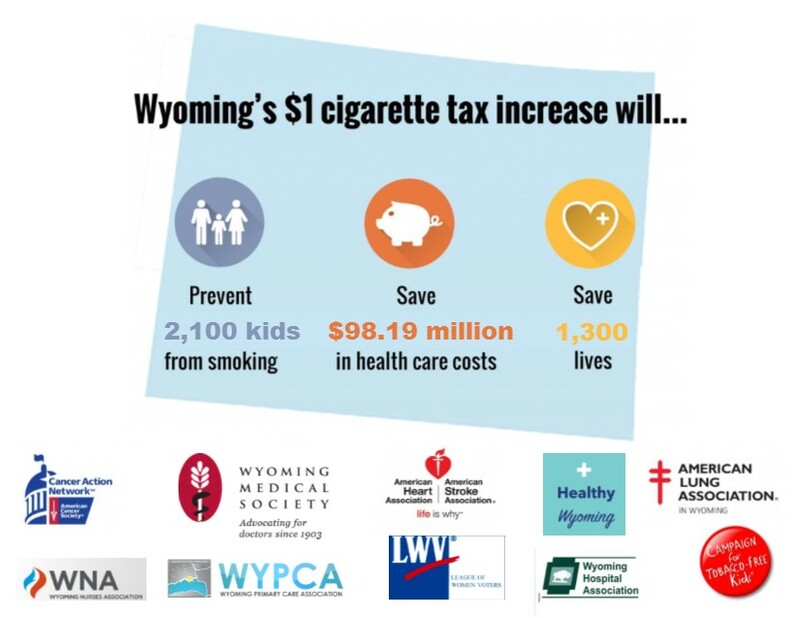 We urge the Wyoming state legislature to raise the cigarette tax by at least $1.00 per pack and increase the tax on other tobacco products equally. I SUPPORT RAISING THE CIGARETTE TAX BY AT LEAST $1.00 PER PACK AND INCREASE THE TAX ON OTHER TOBACCO PRODUCTS EQUALLY. Question - Not Required - Are you interested in fighting back against big tobacco by helping with this campaign? Please make up to 5 selections from the choices below. * Question - Required - Please confirm you are not a robot. ACS CAN cares about your privacy and protects how your information is used.